GoldenWest Uniform is Bay Area’s most trusted uniform and facility service providers. We are a single-source solution for a variety of needs from floor mats, industrial mops, towels, linen, uniforms, aprons, healthcare and hygiene supplies delivered to your business. Each business is professionally surveyed for proper coverage, inventory, appearance and safety. Each program is tailored to meet the client’s needs and budget. Guaranteed professionally cleaned items delivered to you and ready to use. All products are inspected for rips, flaws, stains, gum, paint, etc. Inventory control with itemization by product usage fluctuations, so if the size of your business changes, we can decrease or add product as requested. Choose from a variety of styles, sizes, and colors. Coordinate your orders, no matter how many products are involved. We apply all decorative elements, emblems and personalized name tags for an enhanced corporate image. We identify all garments with a unique number and employee name for tracking (if needed), assuring you get only your assigned garments every time. 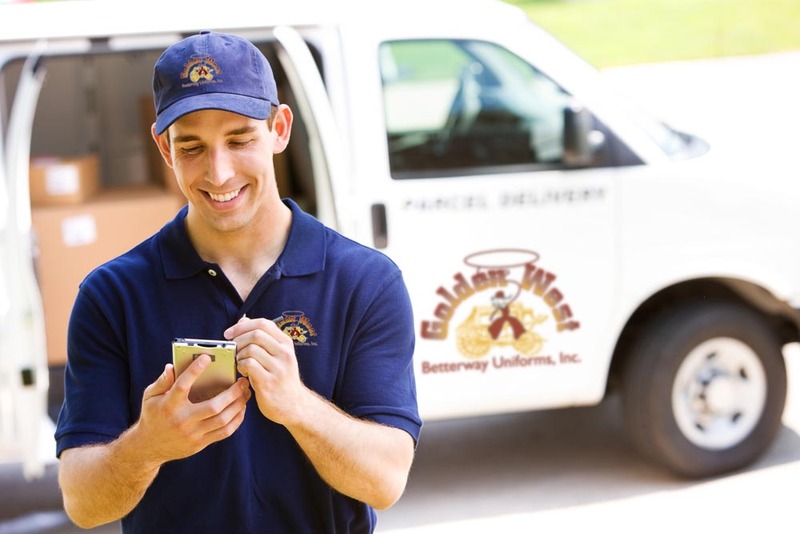 Our Route Service Representatives are trained to maintain accurate inventory levels, saving our clients money with each delivery! Competitively priced below the industry standard.